Russia's Deputy Industry and Trade Minister Georgy Kalamanov, Sverdlovsk Region Governor Yevgeny Kuivashev (L-R centre) at the 2018 Innoprom international industrial trade fair at the Yekaterinburg Expo international exhibition centre. 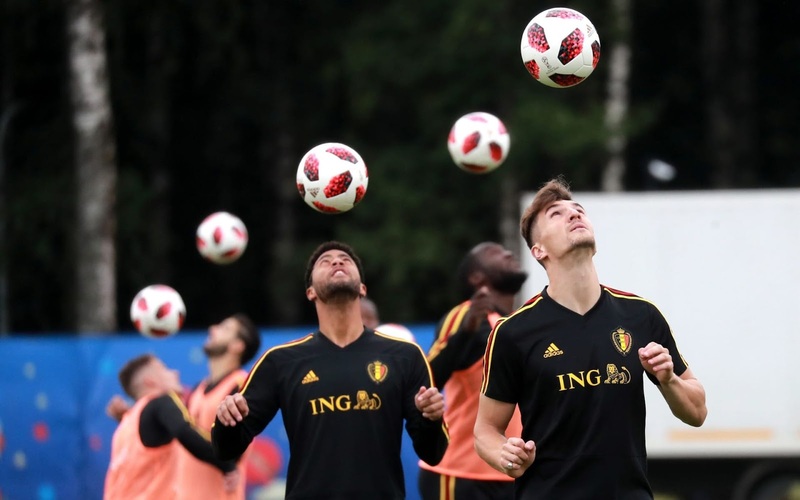 Moussa Dembele, Thomas Meunier (L-R) of the Belgian men's national football team during a training session at the Guchkovo sports complex ahead of the upcoming 2018 FIFA World Cup Semifinal match against France which is to take place at St Petersburg Stadium on July 10, 2018. 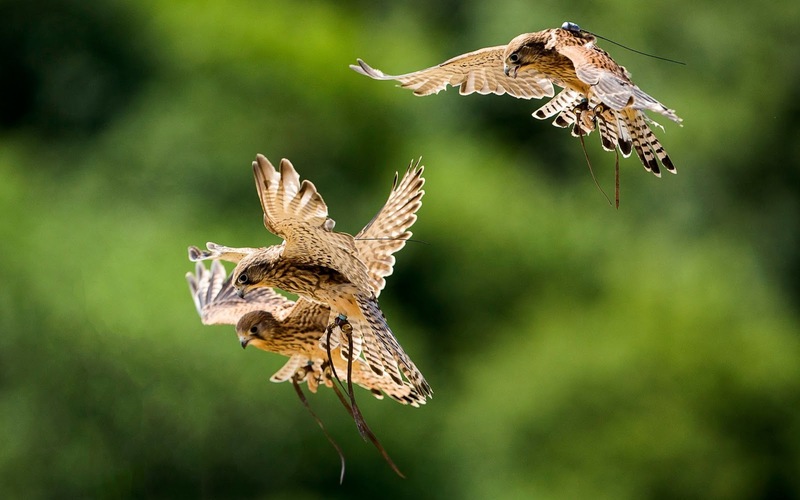 Kestrels in flight at the opening of the Great Britain Birds of Prey Centre at the National Botanic Garden of Wales. 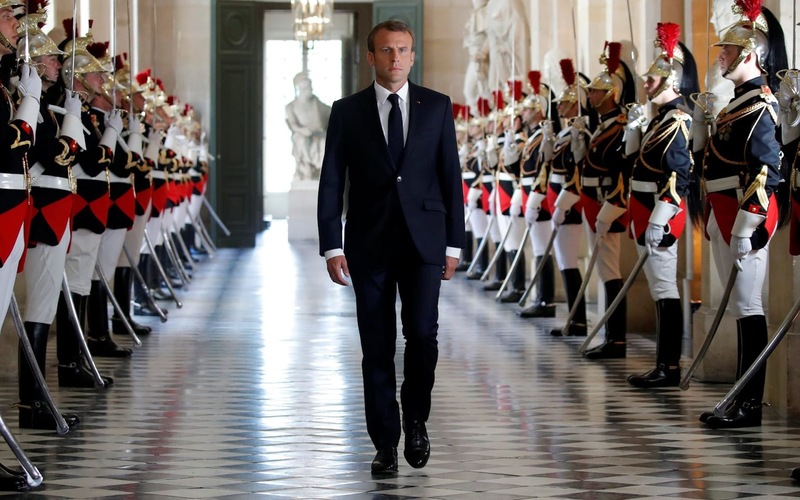 French President Emmanuel Macron walks through the Galerie des Bustes before his address to the upper and lower houses of the French parliament at a special session in Versailles near Paris, France. Model Rosanna Zanetti walks the runway at the Euphemio Fernandez for Samsung EGO Innovation Project catwalk during the Mercedes Benz Fashion Week Spring/Summer 2019 at IFEMA in Madrid, Spain. 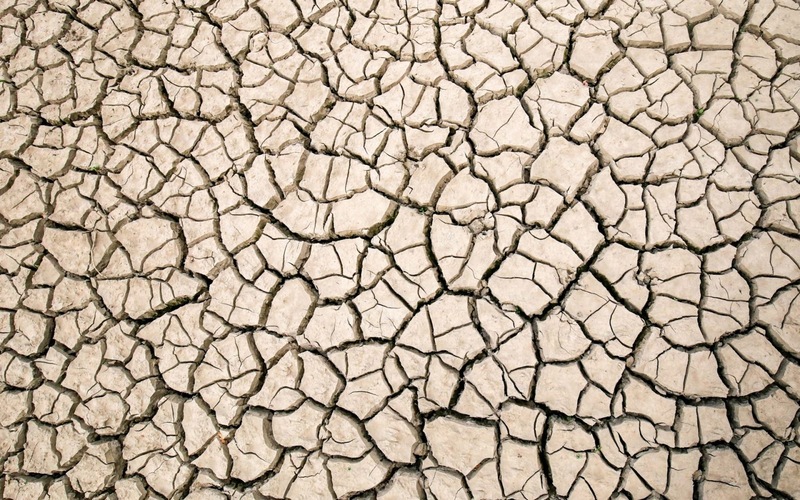 The Wayoh Reservoir in Edgeworth near Bolton is at danger of drying out. There has been less than 1mm of rainfall in the Greater Manchester area since Saturday 16th June. 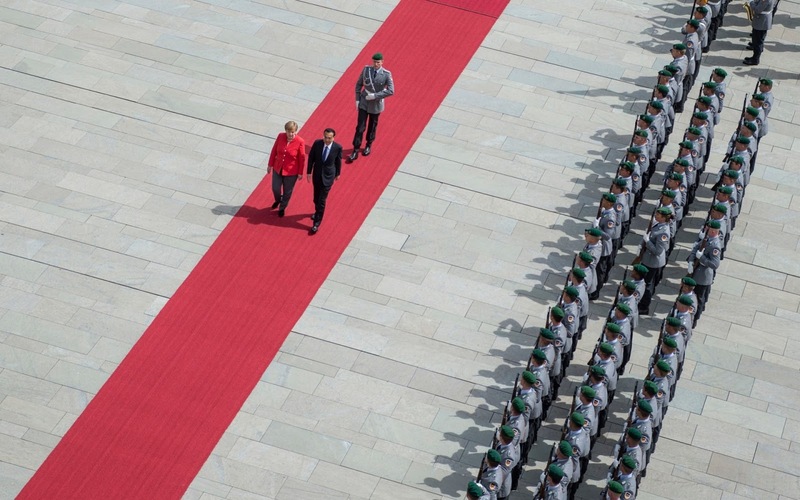 German Chancellor Angela Merkel, left, and Chinese Prime Minister Li Keqiang review the guard of honour during a military welcoming ceremony ahead of talks in Berlin. An acrobatic couple have been criticised for performing a one-handed headstand inches away from a cargo plane on a beach infamous for low-fly jets. Performers Oleg Kolisnichenko, 36, and Yulia Nos, 25, appear to be just feet away from the aircraft in the daring snap on Maho Beach, on the Caribbean island of St. Maarten. 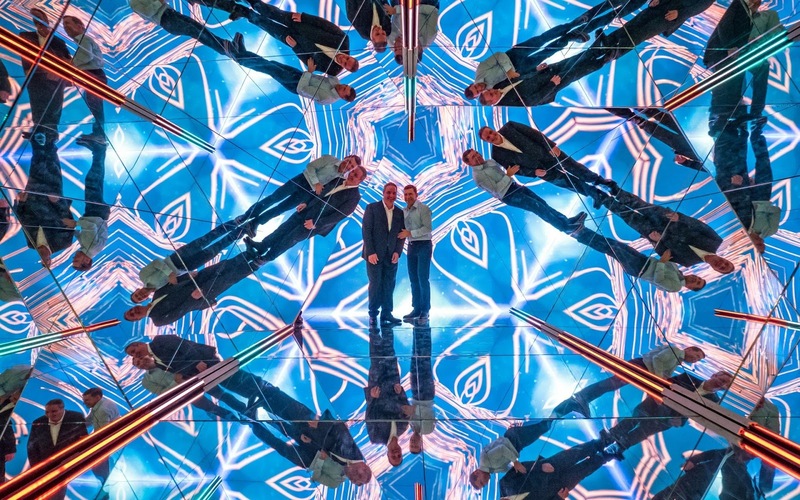 The duo, who have been performing together for three years, were keen to take the souvenir snap having just reached the end of a cruise. 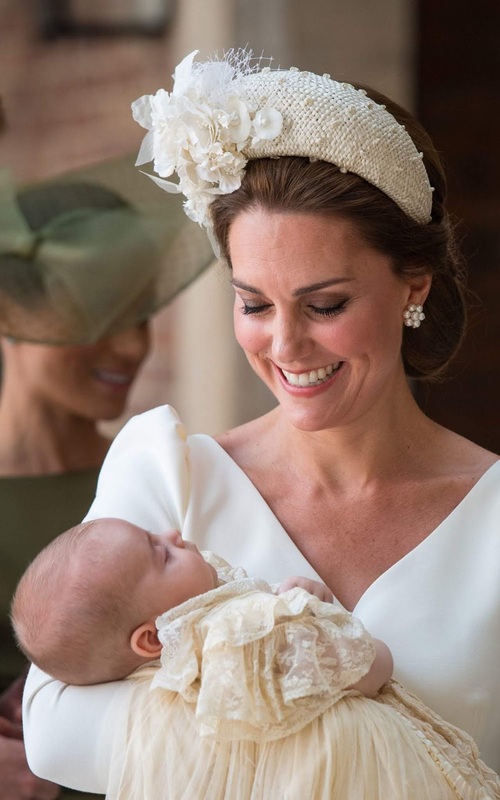 The Duchess of Cambridge carries Prince Louis as they arrive for his christening service at the Chapel Royal, St James's Palace, London. 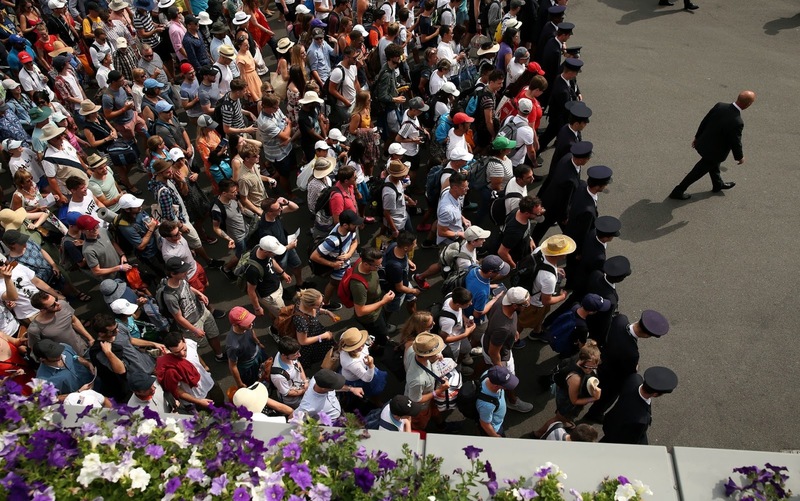 Spectators are led into the grounds at the start of day seven of the Wimbledon Championships at the All England Lawn Tennis and Croquet Club, Wimbledon, London. 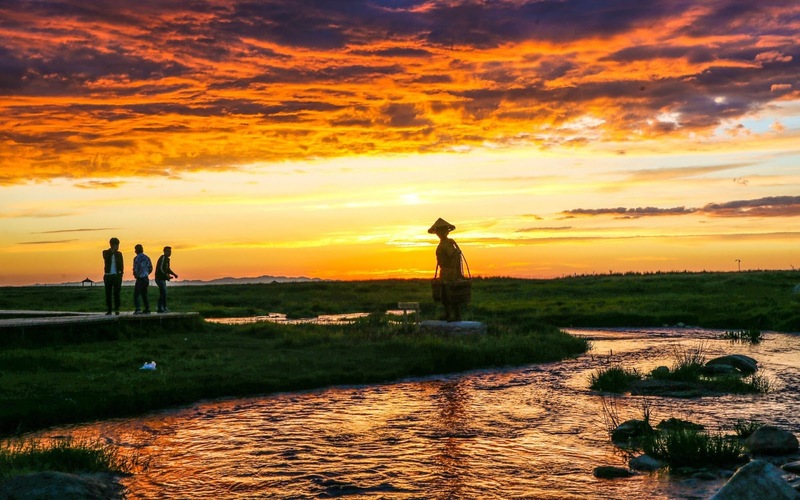 The Grand Lake Wetland Park in Ba Likun, Xinjiang, China, has a beautiful sunset. 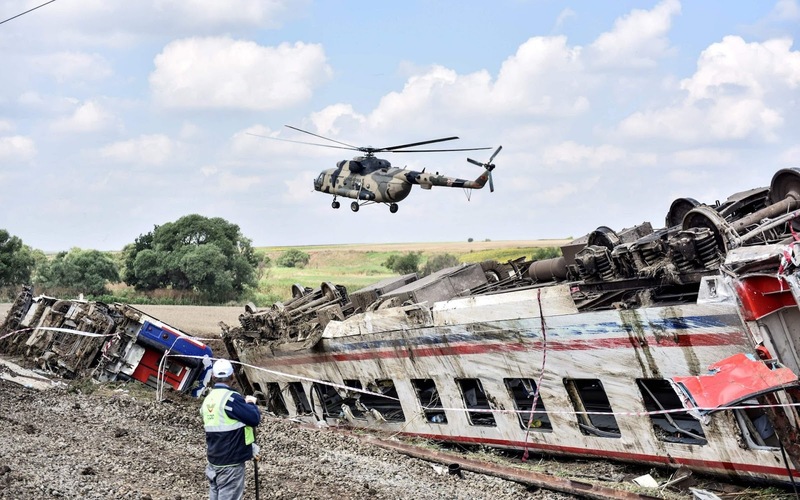 A helicopter flies over the site where a train derailed at Corlu district in Tekirdag, northwest Turkey. 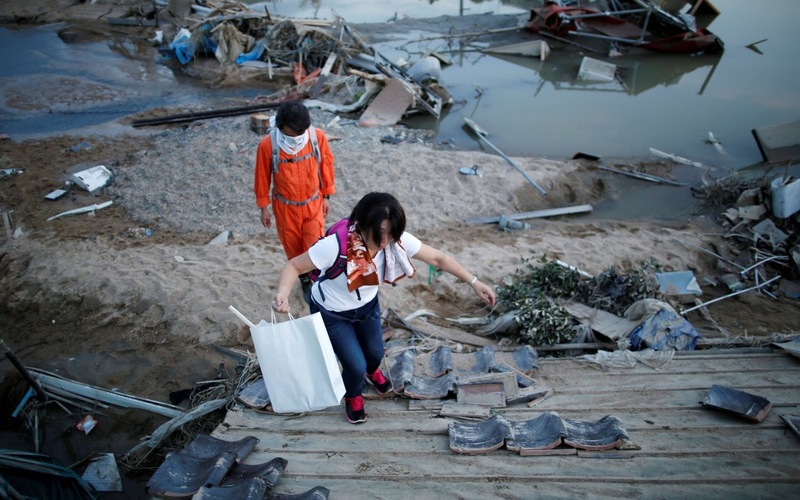 Twenty-four people were killed and hundreds injured when the train packed with weekend passengers derailed in northwest Turkey due to ground erosion after heavy rains, officials said on July 9. The train, with over 360 people on board, was travelling from the Edirne region on the Greek and Bulgarian borders to Istanbul's Halkali station when six carriages derailed in the Tekirdag region. 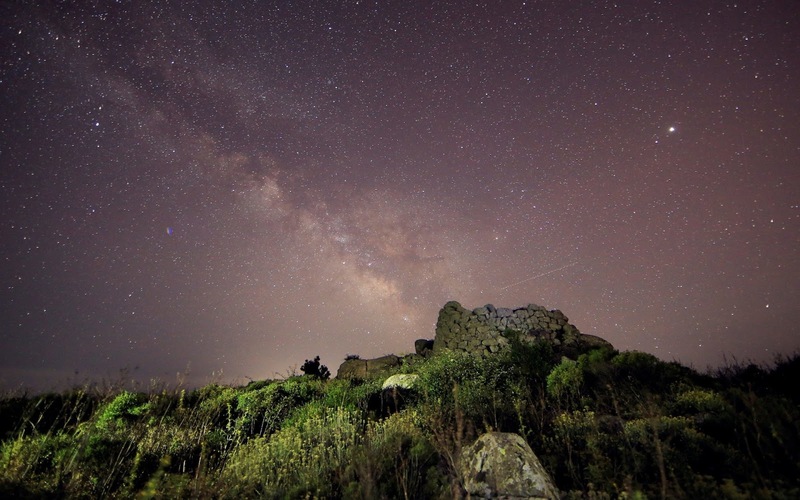 The Milky Way is seen over a "nuraghe" (tower-fortresses) in Sardinia, Italy. Travis Pastrana jumps a row of crushed cars on a motorcycle in Las Vegas. 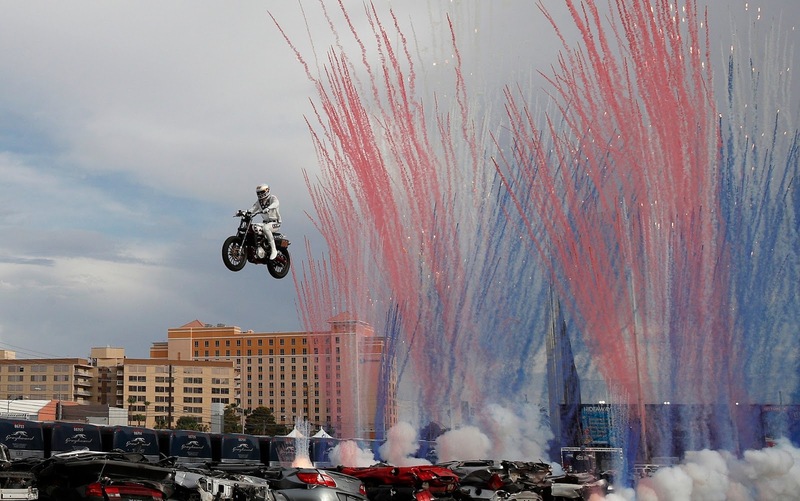 Pastrana is attempting to recreate three of Evel Knievel's iconic motorcycle jumps on Sunday, including the leap over the fountains of Caesars Palace that left Knievel with multiple fractures and a severe concussion. 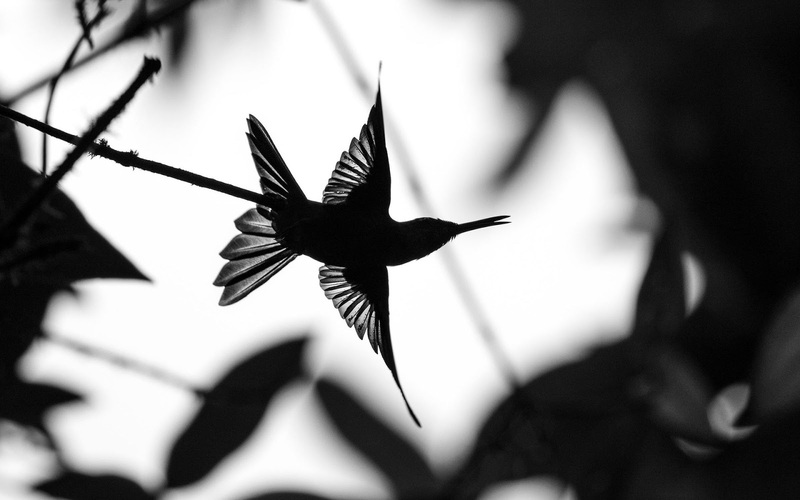 The 2018 Audubon Photography Awards, celebrating its ninth year featured bird species protected under conservation law among its winning entries - including cobalt-winged parakeets and black-necked stilts. World-renowned judges, including Steve Freligh, publisher of Nature's Best Photography, chose photographer Steve Mattheis' snap of an owl majestically preparing for lift-off as its Grand Prize Winner. Lizzie Jones meeting British Simmental Cattle. 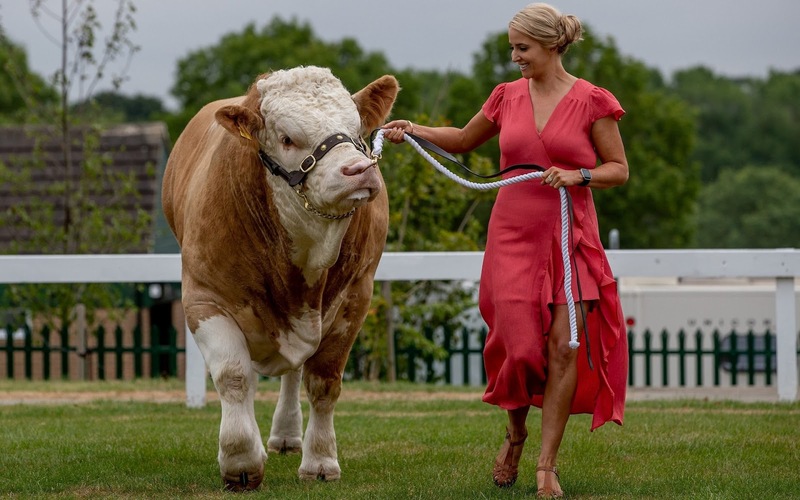 This will be the first year that the Show will hold three national Cattle breed shows and Lizzie will make history as the first singer to perform in the Main Ring at the Great Yorkshire Show. The Great Yorkshire Show is an iconic three-day event and one of the biggest agricultural events in the English calendar. 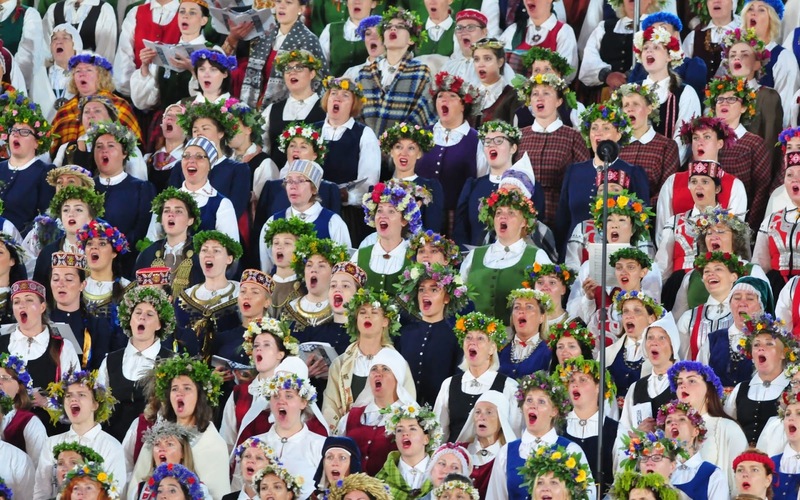 Choir members in national costumes perform during the closing concert of Latvia's XXVI Nationwide Song and XVI Dance Celebration in Riga, Latvia.This concert concluded the week-long national song and dance celebration in which about 43,000 dancers and singers from Latvia and abroad participated.